Elegant Features to Enhance Your Training Program..
With intuitive interface, you can easily create, deliver, and sell online training courses. All the useful resources and tools are neatly packaged into one single system to enhance admin and user experience. No prior design or coding knowledge is required. SwiftLMS is highly customizable; allowing you to fully customize the logo, color scheme, themes and layout to suit your company branding. 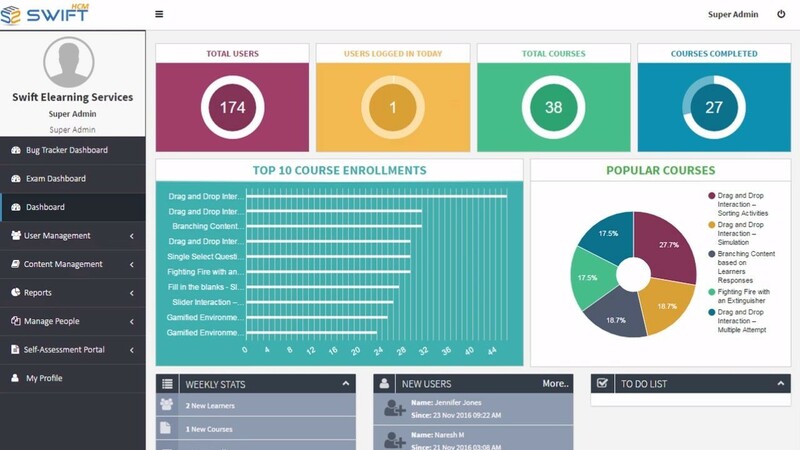 SwiftLMS is a free Learning Management System with no upfront costs.